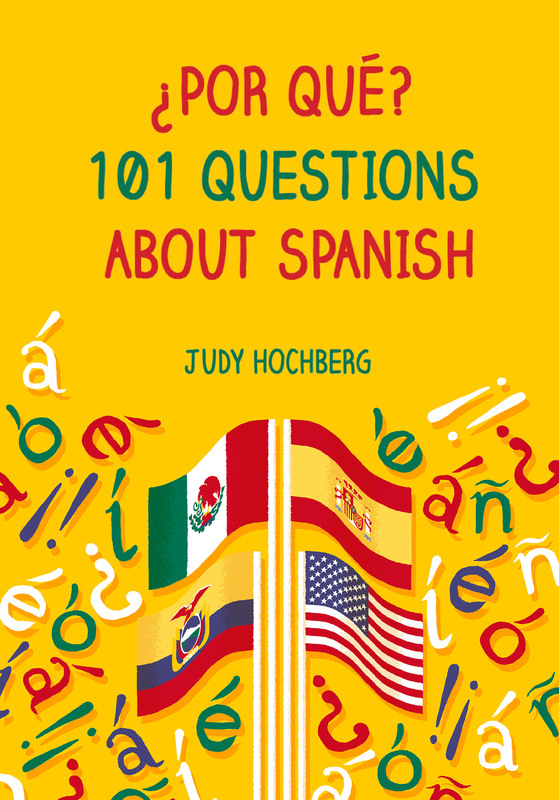 I am Judy Hochberg, a linguist and Spanish language instructor at Fordham University in New York City. I started this blog in order to share my knowledge of the linguistic and cultural underpinnings of the most interesting aspects of the Spanish language. “Most interesting” is a truly subjective term. For me, it encompasses aspects of Spanish that are either unusual or surprisingly normal. 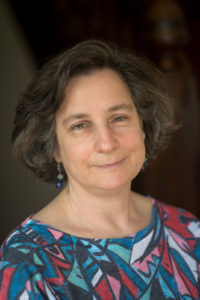 My credentials include a BA from Harvard (in linguistics and Romance languages), an MA and PhD from Stanford (in linguistics), and numerous publications in referred journals include Language, Journal of Child Language. and Journal of the Acoustical Society of America. Spanish students. This blog won’t teach you Spanish, but it will help you understand the “why” behind the seemingly arbitrary features of the language that you are attempting to master. Spanish teachers. This blog will help you answer the interesting questions that your students will ask (if you are lucky). It will also refresh and deepen the knowledge of Spanish linguistics and the history of Spanish that you probably acquired during your teacher training. Finally, it may suggest lesson topics that will encourage your students to think intellectually about Spanish instead of “just” learning it. Native speakers. This blog will provide a fresh perspective on your language, explaining aspects of Spanish that may have always puzzled you (like accent marks) or never occurred to you (like the lack of apostrophes). It will also help you to see your language in a broader context by comparing it to other languages, both related (French, German, Sanskrit) and not (Chinese, Hebrew). Linguists and language aficionados. lf you’re just plain crazy about languages, or professionally involved with them, join the club. I hope that my blog will offer you some new insight into familiar topics. And I look forward to your own comments! Finally, a personal note: I tell my students that El español no está en mi sangre, pero sí está en mi corazón (“Spanish isn’t in my blood, but it’s in my heart.”) Perhaps this is because my father used to practice his high school Spanish with me and my sisters — mostly commands like ¡Acostaos! (“Go to bed!”). Whatever the reason, when I started Spanish classes in 7th grade I knew that I had found my metier, an identification that my later study of other languages and linguistics only intensified. I hope that this enthusiasm comes through in the blog and that we can enjoy Spanish together. Judy, I stumbled across your blog and , as a native speaker of Spanish, I am deeply delighted to see how much you love this language. ¡Ojala los hablantes nativos tuvieramos ese mismo entusiasmo, Judy! Keep the good work! Just purchased your book ¿Por qué? 101 questions about Spanish today at the NECTFL conference in NYC. Just wanted to say thanks for publishing such a fantastic book. I can’t put it down. Thank you so much! Please add a comment on Amazon if so inspired. Enjoy the book — my heart is in it, and I wrote it for you. I really enjoyed this book, and took your advice above and posted an Amazon review. Thanks for an engrossing and well-researched book about Spanish! ¡Muchas gracias, Katherine! I’m so glad you liked the book! I’m delighted to have found your blog yesterday! I immediately ordered your book. I have a question: I notice that 1st and 3rd singular forms are different in present, preterite, and future, but the same in imperfect, conditional, and subjunctive. Are there other grammatical phenomena that divide along these lines? Does it have something to do with definite assertions? Or perhaps is it an accident of historical change? Thanks for what you are doing. It’s fascinating! I hope you got my direct email in which I said “hello” back and promised you a later answer to your question. This is it. This difference is certainly striking, but seems to be a mere historical artifact. In Latin, all these verb forms had a six-way contrast, but the contrast between 1st and 3rd singular was lost in Spanish because it depended on a final consonant in the Latin form that was lost in the transition to Spanish. For example, the singular forms of the present subjunctive of Latin cantare were cantem, cantes, and cantet, but the final -m and -t were lost. The singular imperfect endings likewise depended on an m/s/t contrast. The conditional is built on the imperfect conjugation of haber, so it had the same m/t merger. 1st vs. 3rd endings happened to be more distinctive in the Latin present and perfect (the source of the preterite), so they survived the evolution to Spanish. And the future is built on the present tense of haber.